Following in the success of recent faith-based films such as War Room and 90 Minutes in Heaven at the box office, Focus Features has released the first trailer for The Young Messiah. While there has been no shortage of Biblical fare as of late, this adaptation of Anne Rice's beloved novel will offer a new perspective on Jesus Christ's childhood. The film is set for release on March 11, 2016, just in time for Easter Sunday a few weeks later. The Young Messiah follows the inspiring and unique story of seven-year-old Jesus Christ and His family as they come to a fuller understanding of His divine nature and purpose. The story is told from his childhood perspective, as he and his family depart Egypt to return home to Nazareth. The plot follows young Jesus as he grows into his religious identity. Sean Bean stars as Severus, alongside David Bradley as the Old Rabbi, Jonathan Bailey as King Herod, Isabelle Adriani as Seleni, Christian McKay as Cleopas and Adam Greaves-Neal as Jesus Christ. This religious drama was directed by Cyrus Nowrasteh (The Stoning of Soraya M.), who co-wrote the screenplay adaptation with Betsy Giffen Nowrasteh. Their script was adapted from Anne Rice's novel Christ the Lord: Out of Egypt, which was published in 2005. The Young Messiah goes up against STX Entertainment's The Free State of Jones and Paramount's The Cellar on March 11, 2016. It's completely possible that this faith-based film pulls in big numbers at the box office, since several films in the genre have gone on to do solid numbers at the box office. Many of these titles, like the recent hit War Room, which rose to the top spot over Labor Day weekend, have managed to succeed with little to no marketing, but with a major studio like Focus Features behind The Young Messiah, it could pull in exceptional numbers. Anne Rice also wrote a follow-up novel to The Young Messiah entitled The Road to Cana, although it isn't known if there are any plans to adapt that novel. 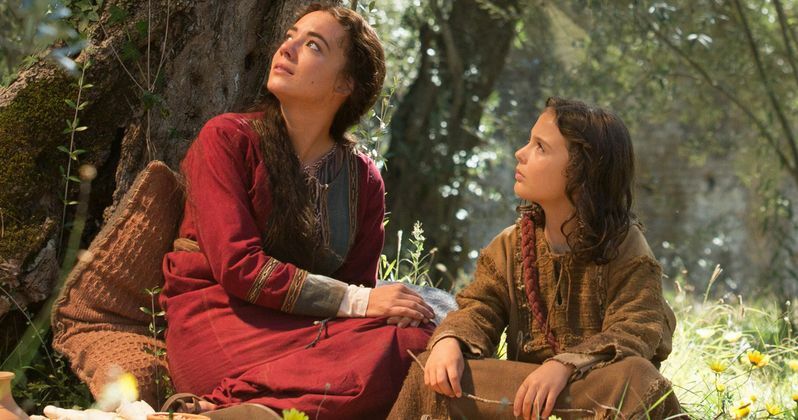 While we wait for more details, check out the trailer for The Young Messiah below. Will you be heading to theaters next March to see this story unfold? We also have a making-of featurette.